The Official Raspberry Pi Zero (W) Enclosure for Pi Zero | Zero W has been designed to fit both the Pi Zero V1.3 and the Pi Zero W board. This case consists of two parts. 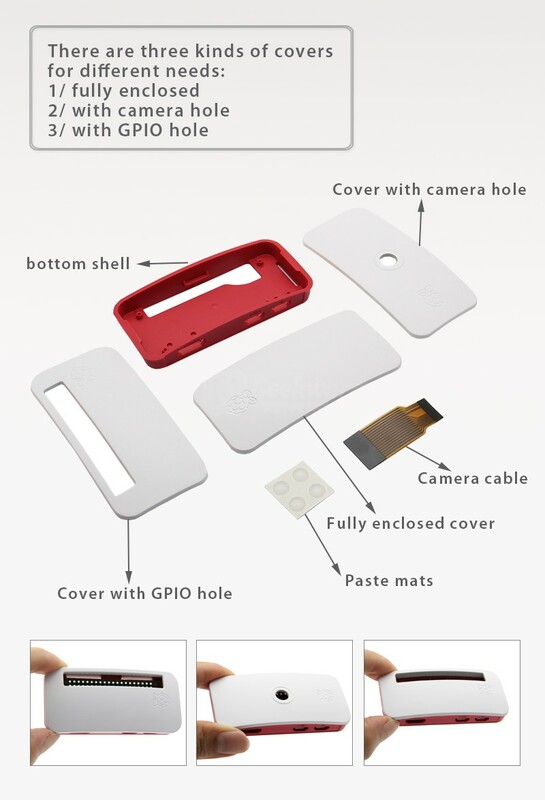 It has a standard base featuring a cut-out to allow access to the GPIO, and a choice of three lids: a plain lid, a GPIO lid (allowing access to the GPIO from above), and a camera lid (which, when used with the short camera cable supplied, allows the Raspberry Pi Camera or Camera Noir to be fitted neatly inside it).